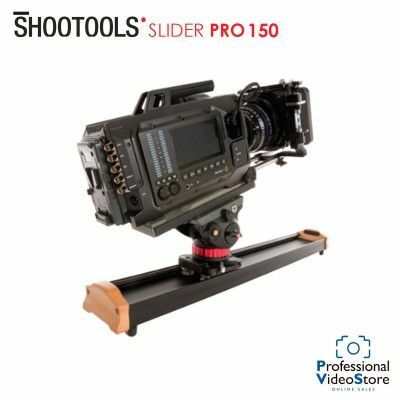 Camera Slider Pro Magnetic Field: it's the state of art of the Professional sliders due to its unique design, its extreme lightness and incredible load capacity of over 50 kg. Guaranteed for life. 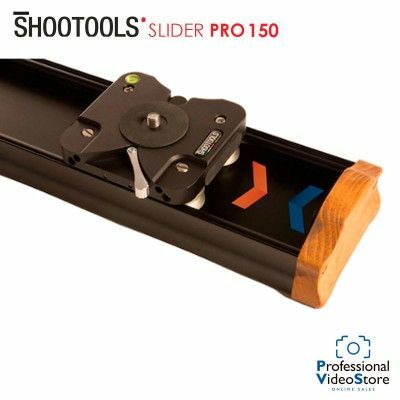 Camera Slider Pro, characterized by its innovative "Magnetic Field" Technology, revolutionizes the way of shooting: a magnetic field is generating between the lateral stoppers and the carriage while running close the end-stop and counteracts at the beginning/end of the track, by slowing down the run of the carriage while reaching the end-stop. Thanks to this system, you'll never impact against the end-stop and you are going to generate always new original bouncing effects and fabulous lateral or frontal accelerations. That's the real Shootools' avant-garde gem: the rail has got an absolute exclusive unique layout, designed and extruded by Shootools. 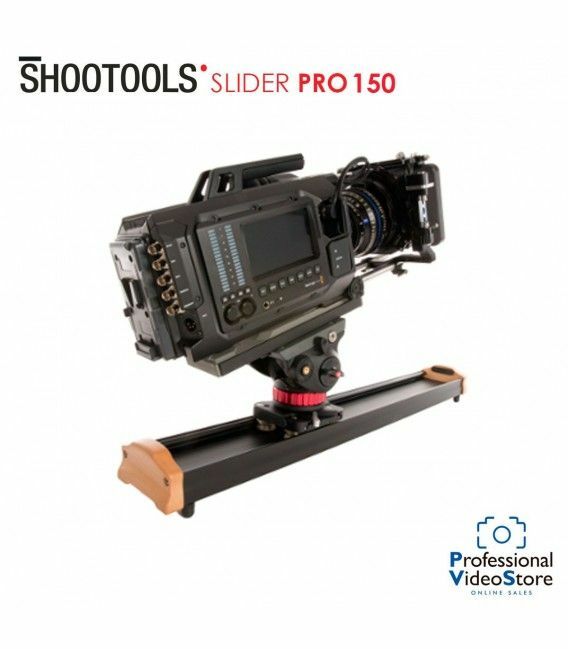 Light and at the same time strong, the Shootools Slider Pro has a peculiar trapezoidal section designed to have the maximum steadiness possible. 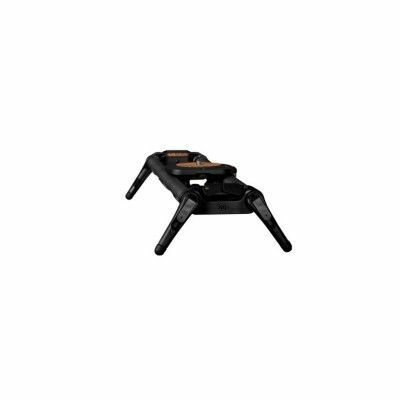 Being only 2.2 Kg heavy, it can support weights over 50 Kg. The peculiar shape of the rail hosts the carriage, that running inside the rail, sets to zero any eventuality of damaging the wheels. The end-stop made of wood is absolutely pleasing to the touch and offers a unique grip. Characterized by a low specific weight, the wood has got a high mechanic resistance and offers at the same time an exquisite design. Iconic stability: the carriage is milled from a piece of extruded aluminum, realized by high working mechanic precision, within a hundredth of a millimeter, that assure high standard of resistance and load balance. The sophisticated friction system and brake on-board made the carriage a real mechanical masterpiece, unrivalled. Special wheels realized with an innovative ST-66 techno polymer designed by Shootools in order to guarantee max smoothness and extreme carriage fluidity. The main characteristics of this material are that it is resistant to high temperatures, + 130 deg.C as to the low ones, till -50 deg.C and it guarantees high payload without deformations. Each wheel is characterized by a double steel ball bearing that equipped the exclusive Shootools' wheel assembly, for a max fluidity of movement and performance. 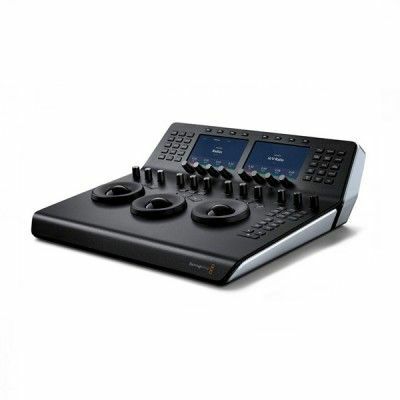 A double friction system allows the adjustment of the feeling in real time in every moment, by acting both on the wheel group and through the comfy knob. While, quick and easy to use, the new ergonomic system of brake generates an extreme safe blockage, suitable for any kind of set-up, even for the heaviest one. 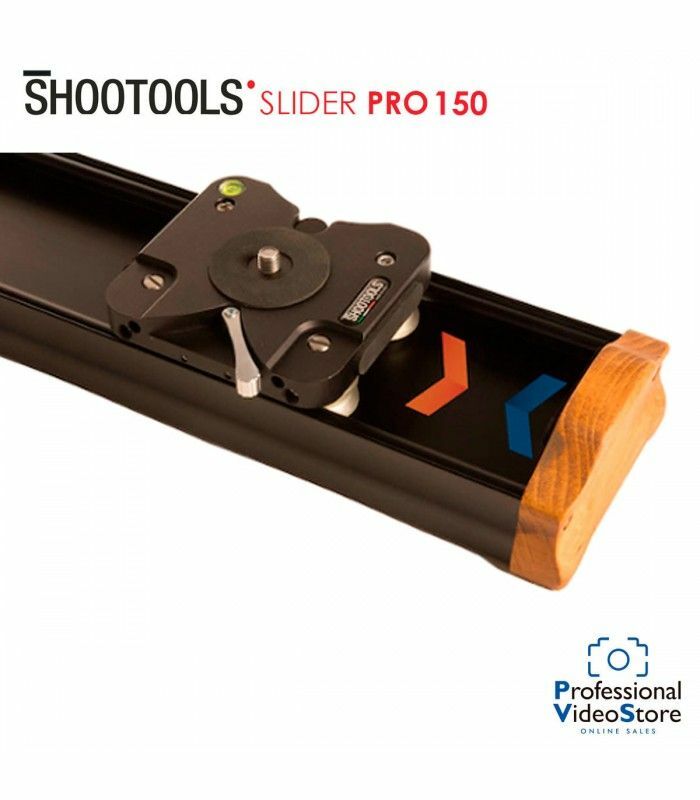 4 adjustable feet complete Shootools Camera Slider PRO: integrated into the structure itself of the slider, they are ready to use and can be easily and quickly moved along the full slider length. 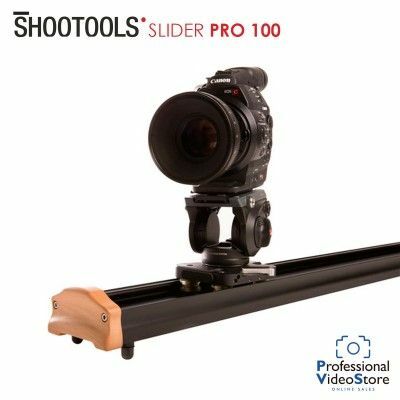 Camera Slider Pro has got two special bases for threaded holes of 1/4 " and 3/8", easily adjustable along the full rail and suitable for tripods. On the carriage is possible to mount any kind of photo or video head with 3/8" thread, a standard in the field. Each component undergoes two distinct types of treatment: the first one, by shot peening through ceramic spheres, increases the hardness and the resistance to fatigue of the object and, in addition, provides a pleasant hi-grip finish. The second treatment, anodizing at 30 microns, protects the device from any external agent. 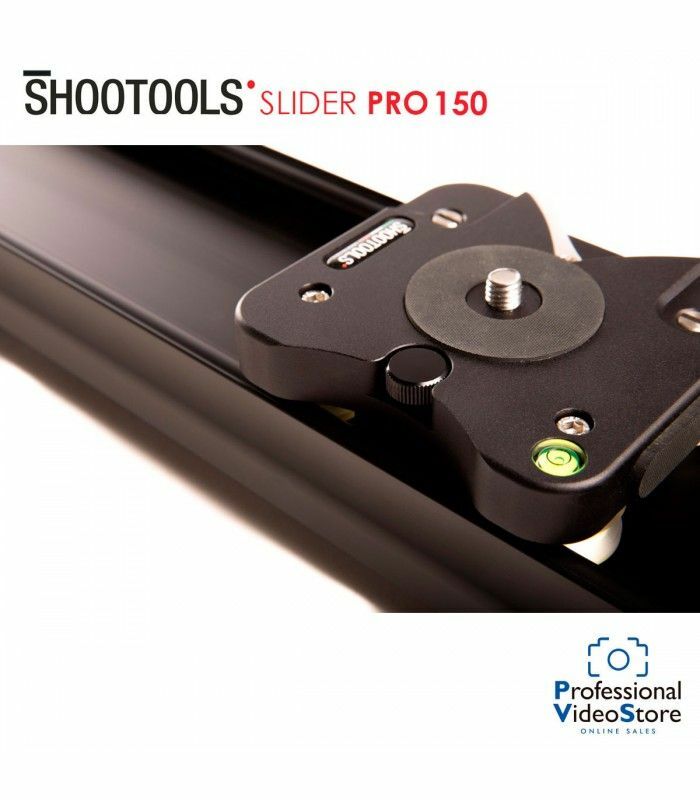 These technical solutions allow the use of the Shootools Camera Slider Pro everywhere without compromises. 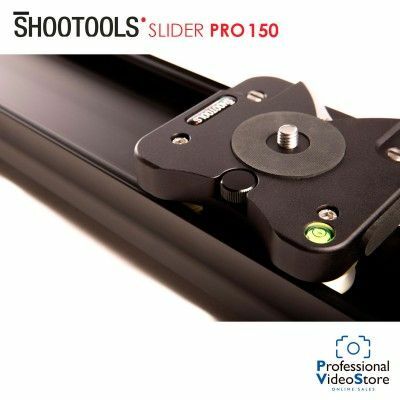 Slider Pro has a lifetime warranty.